Designed by Miiro Seppänen, Finland. Usually food packages don’t contain tools for eating. The big problem also in Asian food is how you can separate different sauces between each other, how you can carry it and how to pack food in it easily and in a safe way. 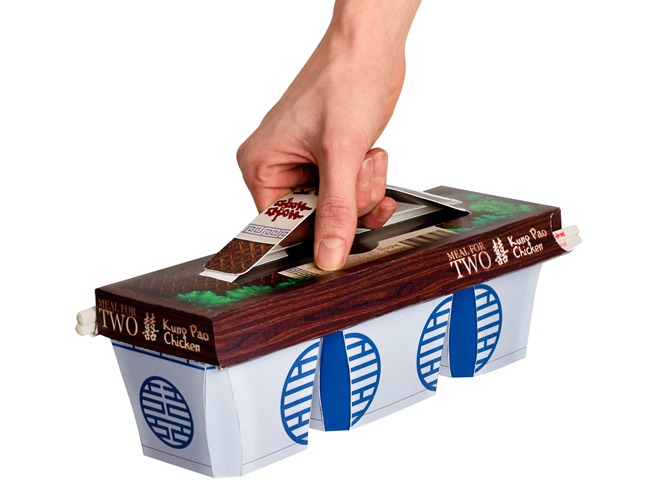 The Kinos is a packaging solution that allows two separate main course and rice or three separate meals served in one package. 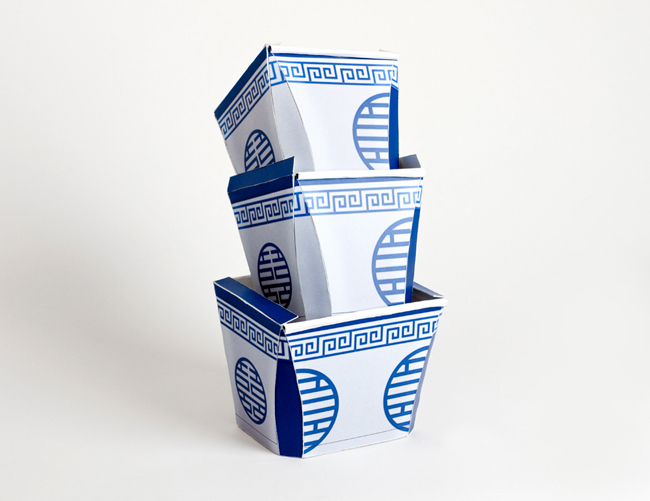 There is also possibility to moderate sizes of the cups for wok-styled food. Concept fits for premaid food and takeaway because its easily saelable. Innovation in closing mechanism allows opening and closing for several times. 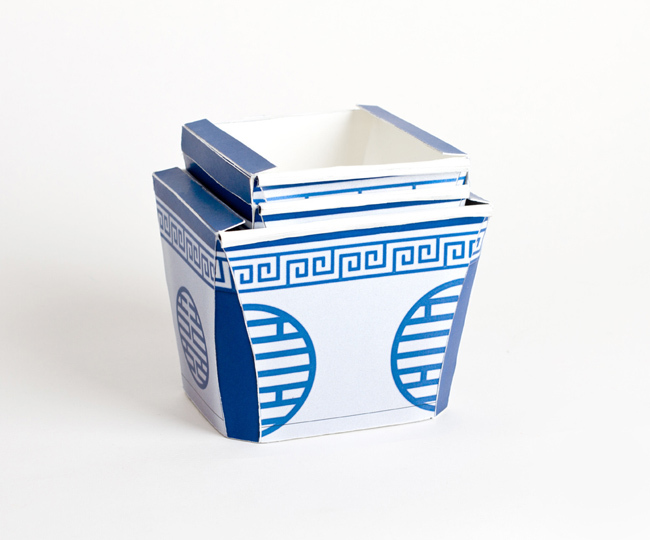 It also keeps chopsticks hygienic while carrying food to home. 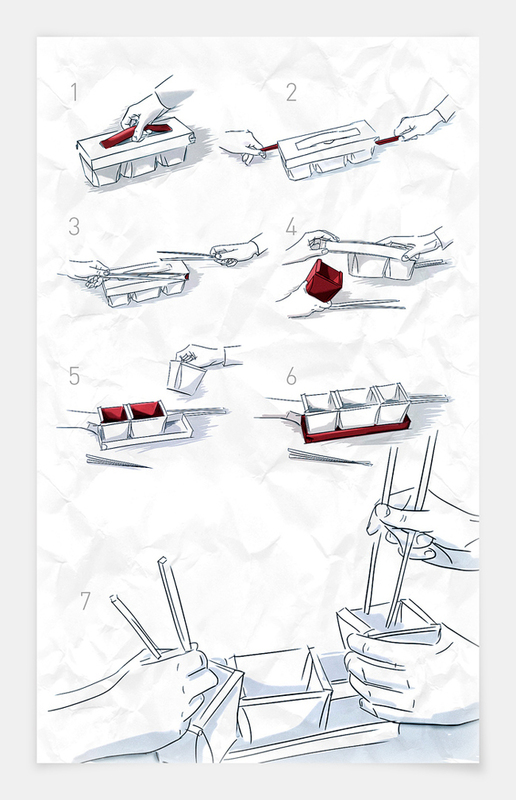 The central idea behind the concept is closing mechanism, based on the chopsticks and the lid container combination. The lid attaches to the cups to lid when pushing them in hole. The lid attaches to the cups tightly so food stays in cups safely. 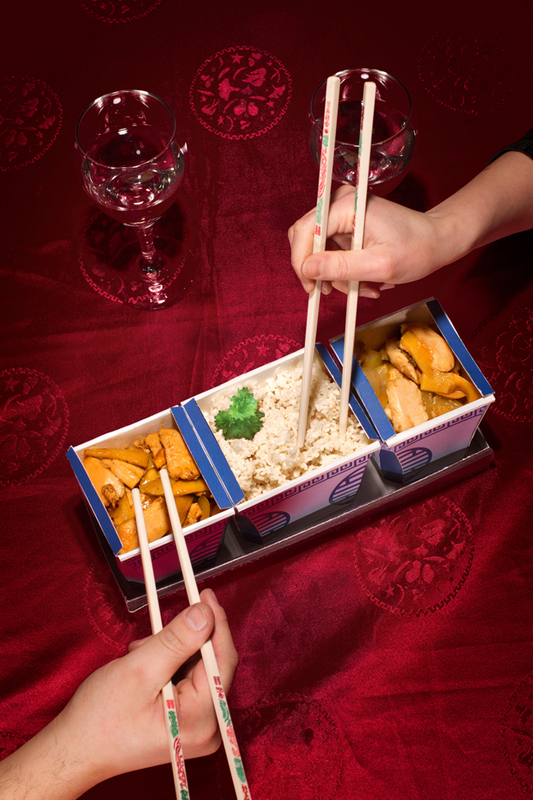 In the lid container chopsticks maintain hygienic all way to home. The container is opened by pulling the sticks out from container. 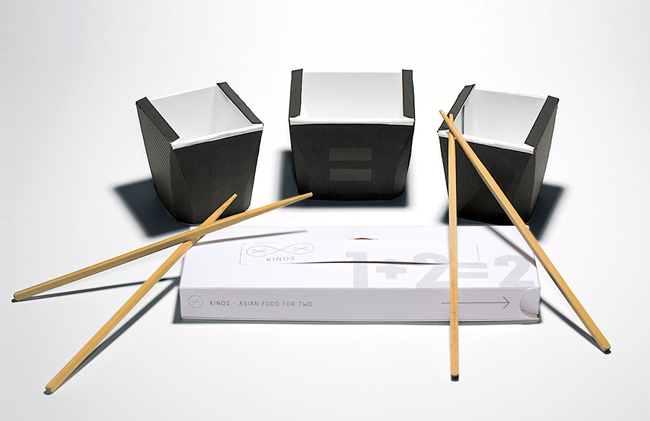 Chopsticks are arranged to come from opposite ends of the packaging to make structure stronger and creating opening as a ceremony between two people. Starting point for the design was also the branding for various companies. The Packages lid jars can be produced in larger quantities at a time, and the overall look of the packaging may be altered by changing the cover graphics. In this case, the integration of generic cup package makes it easy for various companies, and visual apparent graphic designs. So convenient one. 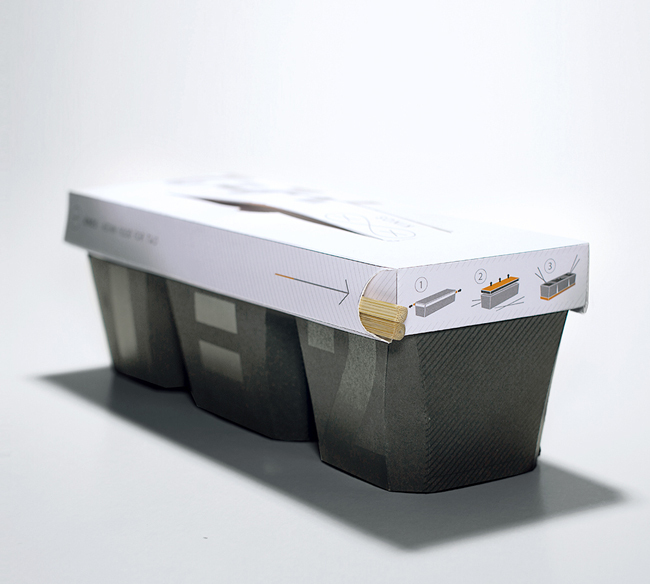 Good concept for stabling food quality by it's packaging.